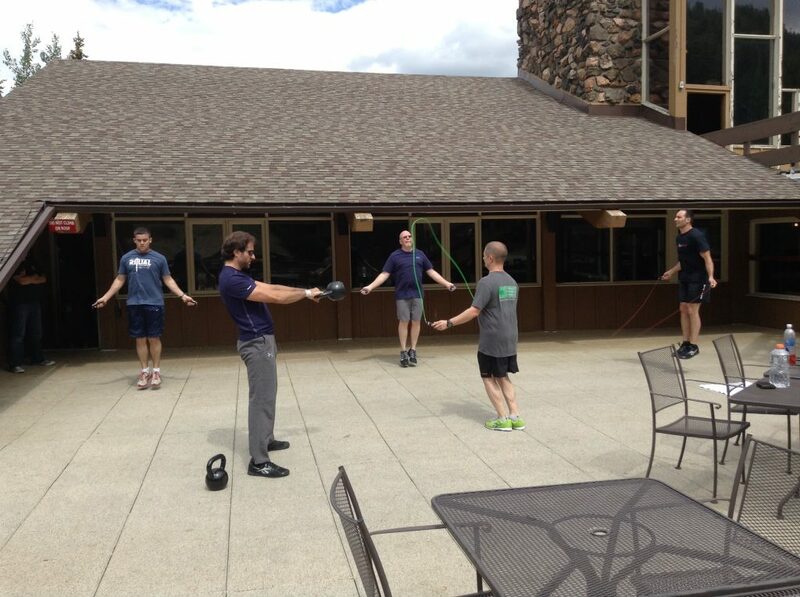 While at a martial arts retreat in Colorado, Keith was invited to participate in a Crossfit workout. No big deal, until you realize that you are over 9,000 feet above sea level! Doing burpees without the benefit of oxygen was such a fun experience, Keith wanted to share it with everyone at Forteza! Set the clock at thirty minutes. If you can’t complete it in the allotted time, then try again next week. Good luck! 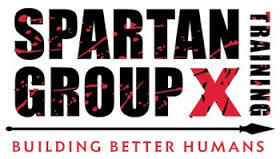 The Midwest Super Spartan is over, but there is still one more Spartan Race to be run this year! To keep you on track, Forteza Fitness is offering a FREE work out challenge to kick off the training cycle for the November Miller Park Spartan Sprint. We’ll be taking you through a work out that will help you conquer each obstacle that you face. Whether this is you first time or you are a veteran racer, this workout will be sure to challenge you. To keep things interesting, we will be giving away one free admission to the Miller Park Spartan Sprint to the toughest Spartan! There will also be a raffel to win training sessions with Coach Jesse Kulla and Trainer Keith Jennings. So, no excuses, we expect to see you on August 18th, at noon sharp, and be ready to give it everything that you’ve got. Location will be at Forteza Fitness, or weather permitting, Montrose Beach. More details to come. On Saturday, July 13th, the members of Team Forteza attended a group workout with Spartan Race founder Joe De Sena. 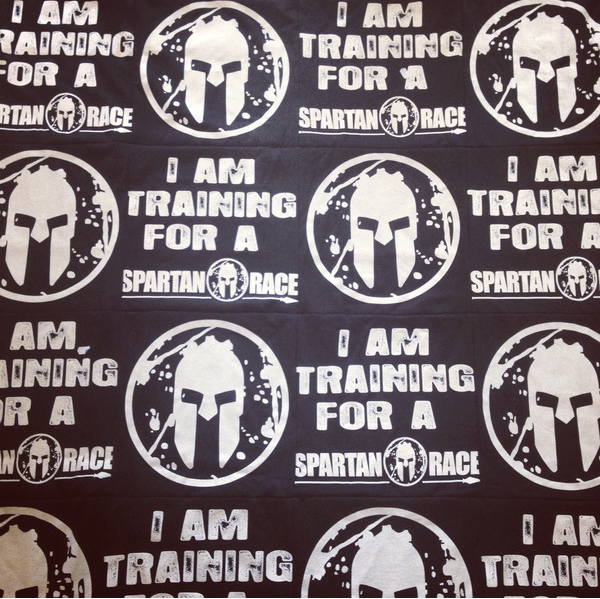 With just one week before the Illinois Super Spartan Race, we were in the final preparations for the race. For the past two months, the team had been training hard, eating clean (supposedly…), and felt ready and confident. The Spartan group workout promised to be a great measuring stick for how well prepared we truly were. As Joe himself said, if you can get through his workout, the actual race will be a walk in the park. Bravado aside, we were all thinking the same thing: how much harder can this be compared our weekly group training? What followed was 2 1/2 hours of brutality in the sweltering Summer heat. After a brisk warm-up, the workout started off with a quarter mile of walking lunges. Everyone’s quads were on fire before we reached our destination: an outdoor park that didn’t offer a single bit of shade to protect us from the midday sun. After a bit of bear crawling, we lined up in rows of 22, with each row being about ten people deep. Right away, it was obvious who was actually training for the upcoming Spartan Race, and those who were less prepared. Next came 100 jumping jacks, animal crawls up and down the field, and fireman carries. Not even half way through the workout, and people started to drop out. Then came the 300 burpees. Getting through an obstacle race takes a team effort, even if that means helping or requesting aid from strangers. Cooperation in the midst of competition, as the saying goes. In ancient Sparta, the mighty phalanx was so effective because the Spartans wouldn’t fight as individuals. Instead, they fought as one, impenetrable unit. Every Spartan protects the the Spartan to his side, Joe emphasized. To hammer in this point, the group had to do all 300 burpees together. If even a single person was out of sync, that burpee didn’t count. So, what was 300 buprees turned out to be a hell of a lot more! By the time we finished the burpees, and then started the sprints, squats, and planks, the army of would be Spartans had thinned drastically. What were rows of ten, were now rows of two or three. The most any line had left was four Spartans standing strong. And among these elite stood Team Forteza, who stuck it out until the bitter end. 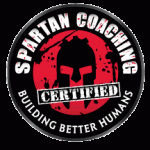 As an athlete, I’ve taken part in the Spartan Race for several years now, as a personal trainer, I’ve respected the Spartan’s goals of seeking excellence, and then pushing one level further. Of course, that means that once there was an opportunity to become an actual certified Spartan trainer – the first in Chicago – I wasn’t inspired to go, I had to do it! So, what do the founders of the Ultra Beast put would-be trainers through? Introductions were made, and stories from races that we have all run were shared. I did not win the farthest traveled award, there was a gentleman there form San Francisco. I also met the winner of the 2012 Spartan Death race. It was inspiring and humbling to learn that he had absorbed over 60 hours of punishment to claim that title. Yeah, 60 hours. I have some new standards of “toughness”. Before we got started, we took a 5 minute burpee test. Yes, that means we got up, paired up, and did “hands off the floor” burpees for 5 minutes, to see who was could hack it. I was not at the bottom of the heap, but 63 was nothing to brag over either, I think 84 was the winning number. Now, I expected something like “drop and give me 5 minutes of burpees” – these are the Spartans, right? But see, like the Spartans of old, who were both warriors of supreme physical skill and tactical warcraft, we were here to hone our minds alongside our bodies. And that was why we went from burpees to that conference room, where my brain was filled with science data, recovery charts, and the importance of Mental Grit. Vital to all racers, and more so to those who profess to learn the arts of defense, Mental Grit is the power to preserve despite terrible odds, nasty surprises, and truly “long haul” exercises. We then did a little work out before breaking for lunch: about 300 meters of bear crawls, just to whet our appetites. Lunch was all business, talking with other trainers, sharing success stories and work out tips. Of course, having just filled our bellies, it was time to dive into nutrition as soon as we got back. That was extremely in depth, and changed how I viewed athletic nutrition. After a few hours of that, we broke, and did an hour long “level one” work out, which is just the Spartan way of saying “Good job in the class room, see you tomorrow”. I went back to my hotel and soaked for an hour, rehydrated, and got ready for day two. Day two was all talk of program design and goal-setting. This was partly a refresher course, but had a lot of insight into helping clients set goals, as well as getting to the root of clients’ health issues. The program design was intensive. We talked for hours about how to “Spartan folks up”. Far and away, this was my favorite portion of the weekend. Skipping lunch, we broke into groups and went running, with one group running their work out, start to finish, and the other two groups sweating through them. Three hours of pure brutality. It was hard, but I got through all of it. Not everyone did. Survival is the first step on the road to excellence! I now know why the Spartan gym has a full spa – you need it just to go home. After some time in their hot tub, I felt better, I limped to the hotel, packed, returned my car, and spent 18 hours In the airport getting back to good old Chi-town. This was a mind-blowing weekend, and my ideas about training for peak performance will be broken into before SGX and after. My clients are already profiting from the new ideas and strategies, be they there to cut weight, increase functionality or race train, and I can’t wait to share more of the techniques for honing Mental Grit. Later this summer, I’ll begin my preparation to run the Beast. I’ve beaten the Sprint, and I’ve beaten the Super. Time to go for the gold, and come home with my running shoes or on them. I hope to see you there, because I’ll need a team. Spartans, are you ready? Aroo! January is over, which means New Year’s resolutions are in full force! Every January, you’ll find people crammed into gyms across the country, and everyone seems to have the same goal year after year: lose weight, drop a dress size, get a six-pack, or the like. The problem is that the work is hard, the effort is unfocused and the motivation never seems to last. Why? When the goal is purely cosmetic, they ignore the gains that they are already making and lose heart while they are working to hit that goal. At Forteza Fitness, we propose something a bit different. Instead of focusing on the superficial, have your goal to be simply getting stronger, increasing your endurance levels, and becoming more agile. The problem with shallow goals is that they produce shallow results. For your strength goals, try and really challenge yourself. If you’ve never been able to do a full, head hang pull-up, put in the work under the bar this year and make it happen! If you can do a pull-up, then make it your goal to do five in a row, or ten. Or, work up to deadlifting twice your body weight, which is a great marker to be considered truly strong. Whatever your goal, aim high, and every week work your way up that fitness mountain. Warrior Dash. June 16th. This is a great introduction to mud runs. This course is doable for a variety of fitness levels. If you’ve just begun your fitness journey, or want a warm up before challenging yourself with the Spartan Race, this is a great place to start. Run for Your Life. June 22nd. What better motivation to run than being chased by zombies? Run For Your Life is a 5K obstacle run where the course is infested with zombie hoards. The better shape you’re in, the more obstacles you can climb, and the faster you can run, which Just might allow you to get to the finish line. In order to enjoy the full zombie apocalyptic feel for this event, we are planning to camp out the night before, and then enjoy being chased by zombies the following morning. Spartan Race. July 21st. This is the highlight of the race season for us. With only a 70% finish rate, the Spartan Race is a 9+ mile course that is considered by many to be the most challenging obstacle race out there. The Spartan Race demands a lot of dedication, so if you join the team, prepare for some hard training. If you have any interest in joining Team Forteza for any of the above races, please contact Keith or Jesse. Training begins in April! Forteza’s first year has come and gone, and what a year it has been!